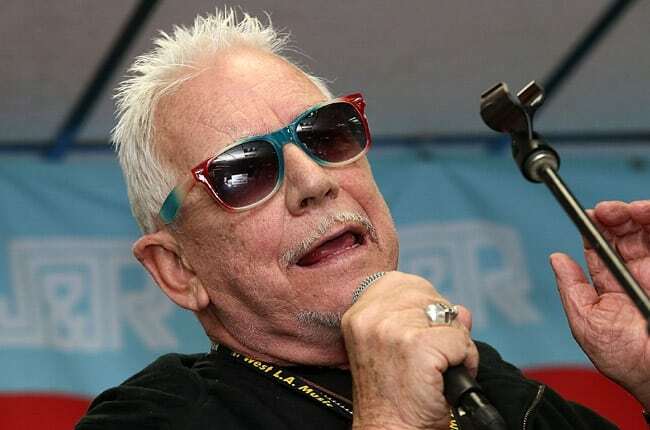 Last week, word got out that The Animals’ Eric Burdon was not coming to perform in Israel due to “threats” by BDSHoles. Now the show is back on. After caving to threats and canceling a gig in Israel, aging rocker Eric Burdon will play here after all. 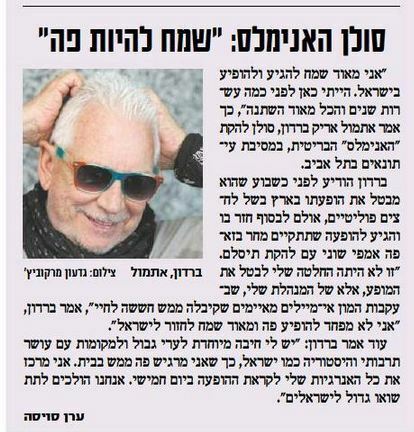 Burdon, the former lead singer of ’60s British band The Animals, was last week reported to have canceled the August 1 concert in Binyamina because, his manager said, he had been receiving daily threatening emails. However, on Monday the concert was back up on Burdon’s website and was again listed among the concerts at the Zappa Shuni Amphitheater in Binyamina. No reason was given for the cancellation of the cancellation. But his manager later wrote to T-Slam to state that the show was off. “We are under increasing pressure, including many threatening emails that we are receiving on a daily basis. I wouldn’t want to put Eric in any danger,” his manager wrote, in comments released by T-Slam last week. However, it seems Burdon’s reluctance to go through with the concert was short-lived and the show is back on track. When the initial cancellation was publicized, BDSHoles did not trumpet their success like they usually do, since they realized associating themselves with alleged threats would not be a smart move. Ali Abunimah of the Electronic Intifada went a step further, posting that there was no evidence of any threats to begin with. But something doesn’t add up. 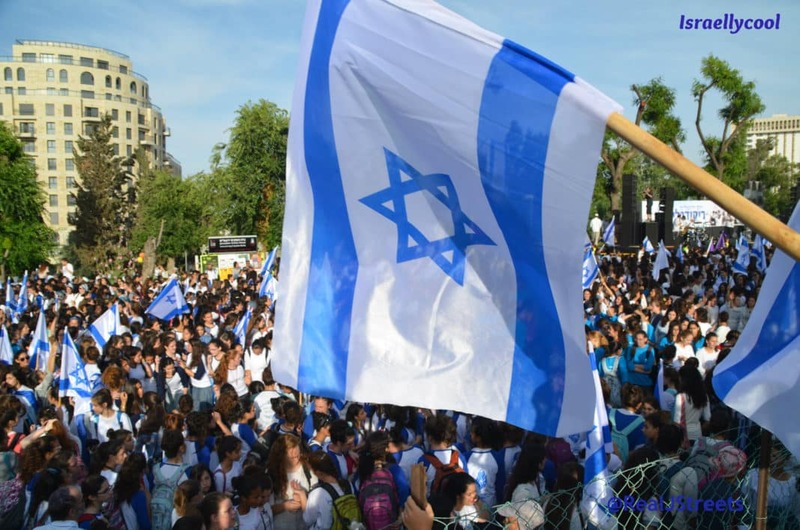 The Kadaitcha blog referred to by Abunimah attempts to discredit Tislam – who first publicized the allegation of threats – by raising their “hasbara” credentials. Since the cancellation, the Scottish PSC, who provided an online facility for forwarding letters protesting Burdon’s breaking of the boycott, published a disclaimer of allegations of threats broadcast by the Israeli media. These threat allegations are second-hand, emanating from a supposed letter from Burdon’s management to supporting band, T-Slam (or Tislam). T-Slam band member Yair Nitzani served in the Israel Defense Forces as a broadcaster on Galei Zahal, and later on the show Ma Yesh (What’s Up) on Israeli Army Radio. Ironically, Ashdot recently recorded what I believe to be a most powerful and insightful anti-occupation song called “A Matter of Habit.” As a result the singer was subjected to a barrage of hate-filled criticism and invective both in the Israeli press and on social media sites. Annie Robbins covered the story and linked to the video of “A Matter of Habit” here at Mondoweiss. I sent the Israeli rocker Annie’s post via Asdot’s Facebook page. I expressed admiration for his courage in answering the criticism of his song’s trenchant protest against the occupation and elucidation of the corrosive role of the military in its perpetuation. But I also expressed my “disappointment” that he did not use the Burdon cancellation to address the evils of the occupation and how it isolates Israel from the world community. In addition, I recommended that he address the occupation at the concert which was scheduled to go forward without Burdon. So which is it? Hasbara shills or anti-occupation campaigners? Furthermore, why would Tislam lie about the threats to Burdon? How would they expect to get away with such a lie? After all, Burdon could easily deny it. Tellingly, Burdon has not denied the receipt of threats – as you would expect he would had they not occurred – but rather denied he thought of cancelling his trip. At a press conference in Tel Aviv, the 71-year-old rock legend denied he had ever thought to cancel his Israel trip despite reports a week ago claiming otherwise, Israel Radio said. Add this to no denial of threats by his manager (just silence), and I think there is more of a chance that the threats occurred than not. My guess? Burdon received some threatening mails and his manager was extra worried about his safety, since she also happens to be his wife. She either made the initial cancellation decision unilaterally, or Burdon was heavily influenced by her. After a few days, they changed their minds. In any event, what we see here is increased desperation on the part of the BDSHoles to engage in damage control.